40% response rate to real-time, in-product surveys gives Hootsuite rich feedback from users. Advanced analytics like tagging and segmentation enable Customer Insights to analyze trends, prioritize issues and identify opportunities by customer segment. 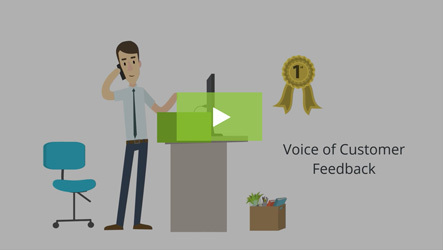 Voice of Customer data gives Sterling input into product development. 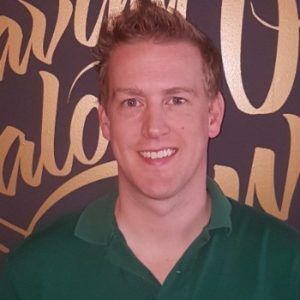 Sterling Anderson is the Customer Insights Manager at Hootsuite, the social media management tool that makes it easy to manage social platforms and campaigns in one place. Fortune 500 companies down to mom and pop shops use Hootsuite to manage their Facebook, Twitter, Google+, Pinterest, Linkedin, and other social profiles. Like the Hootsuite itself, Sterling is passionate about the voice of the customer. “We know happy customers are loyal customers, so we want to be able to get their feedback and take action on it as fast as we can.” It is his job to collect and analyze the customer feedback that Hootsuite receives and advise the company on changes that should be made in response. However, at the time, Hootsuite was sending NPS surveys to customers via email. Email surveys had meager response rates. Hearing from so few customers, Sterling lacked the data he needed to do his job well. 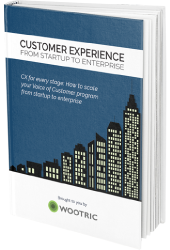 He saw an opportunity to get a better understanding of what customers were thinking and feeling by revamping the NPS program with Wootric. Sterling was able to dramatically increase the amount of feedback Hootsuite receives by using in-app Net Promoter Score survey from Wootric. Sterling also likes that the survey was non-intrusive and pops up when a user is inside the Hootsuite dashboard. It fits with the aesthetic, and it doesn’t block customers from doing what they need to do. 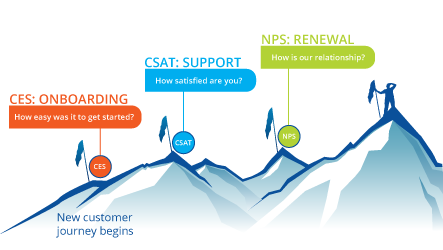 As a result, NPS survey response rate jumped to 40%. 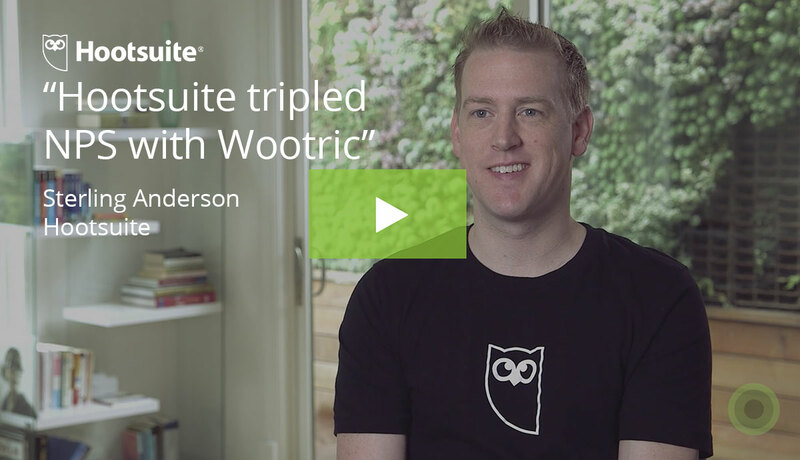 Today the Customer Insights team at Hootsuite is in the Wootric dashboard every single day. They look for different trends in the feedback to identify issues. 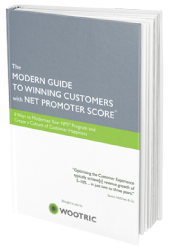 Being able to get data and analyze it efficiently has made a huge difference for the product — and that has driven a huge increase in customer loyalty as measured by Net Promoter Score. Auto-tagging of qualitative feedback comments also makes it easy for Sterling’s team to surface themes and issues, and route that feedback to other departments like customer success, marketing or support. With rich feedback and advanced analytics, it is a lot easier to identify and prioritize features that customers want. Sterling now meets regularly with the Product team at Hootsuite to develop new experiences and features based on NPS feedback. Understand what customers need to do their job. Take action in response to feedback to boost loyalty. Low response rate to email surveys meant Sterling was not getting adequate customer feedback. 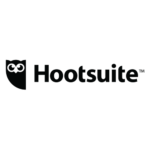 Hootsuite has tripled its customer loyalty metric, Net Promoter Score. High response rate and rich analytics give Hootsuite robust customer insight. New product features are introduced each quarter based on NPS feedback.